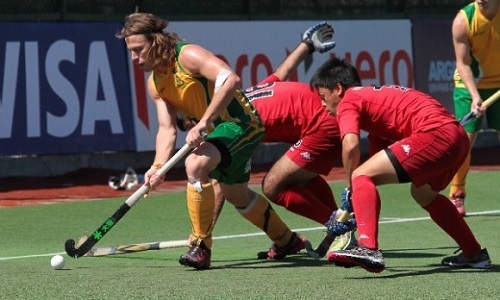 SA Hockey has once again been hit heavily by the lack of a major sponsor. In a time when the Ladies side are about to host Netherlands, Australia and Belgium in an incredibly enticing series down in Cape Town, the Lads are having to deal with the news that Charlie Pereira has stepped down as National coach. Charlie has cited a lack of sponsorship leading to insufficient time to prepare for the World Cup and Commonwealth Games. Charlie had successfully guided SA Hockey to the World Cup and the World League Semi Final in his time in charge. This is one of the worst ways the Men’s side can start 2014, especially after the promising growth experienced in 2013. Mr. Price Sport continue to be the kit supplier and Mugg & Bean have come on board, but the men are still lacking a sponsor in the vein of Investec or one of the other commercial players in the industry. Of course Marissa Langeni and her team will have to act quickly as the new coach will face a test series in Argentina, will host Argentina in Cape Town and will also travel to Malaysia for the 2014 Shah Cup. Decisions will have to be made as to whether to replace from within by promoting Robin van Ginkel, Mo Malebye or favourite for the role Craig Fulton, or rather bringing in a new face with new plans. What also will be seen is whether the new coach will be able to call on Justin Reid-Ross for the challenges of the year ahead. Of course they will also have to consider whether the likes of Lloyd Madsen and Andrew Cronje will be available as the lack of a major sponsor means a lot of costs are borne by the players themselves. Whoever the new coach is, can back on the support of the country as hockey is garnering its greatest growth in interest in recent years with live coverage of the World League, the Hockey India League and the Junior World Cup. You just have to hope that the new coach brings along a new sponsor too!